Testing of the second turbine at the Mt. Coffee Hydro power Plant in Harrisburg, Liberia has commenced. The 22MW turbine is expected to increase the installed capacity of the Mt. Coffee Hydropower Plant to 44MW and the overall installed capacity of the LEC to 82MW. In preparation to place the second turbine online, there will be outages which will occur during the synchronization process of unit 2. The process begins with the unit preparation of emergency stop, followed by load rejection test at various intervals of 5.5, 11, 16.5 and 19MW. However, the 5.5MW intervals of both tests, are expected to be carried without experiencing an outage on the grid, while the 11, 16.5 and 19MW (red coded) are expected to have an outage on the grid. 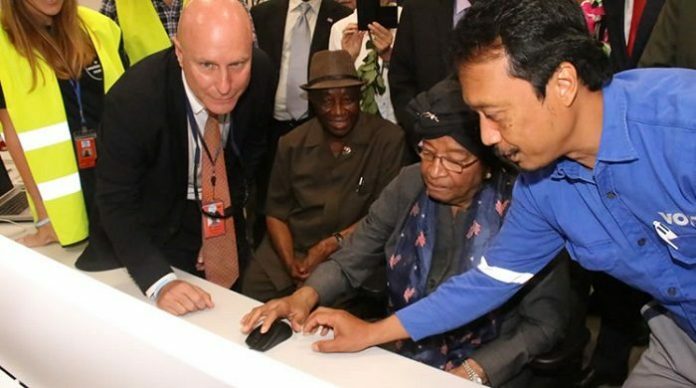 Last year December 15, the first generating unit was commissioned by President Ellen Sirleaf. Furthermore, when the project is completed, Mt. Coffee Hydropower Plant will have a total installed capacity of 88 MW (four generating units of 22 MW each). The completion of the second generating unit of Mt. Coffee will not only increase the LEC generating capacity, but also complimentarily avail the capability to increase the corporation’s customer base. This will also pave the way for the reduction in tariff as was promised by President Johnson-Sirleaf during her recent annual address to the Legislature. During the testing exercise, customers may experience interruptions in power supply. According to LEC management, the second turbine testing will continue till Monday, February 6, 2017.